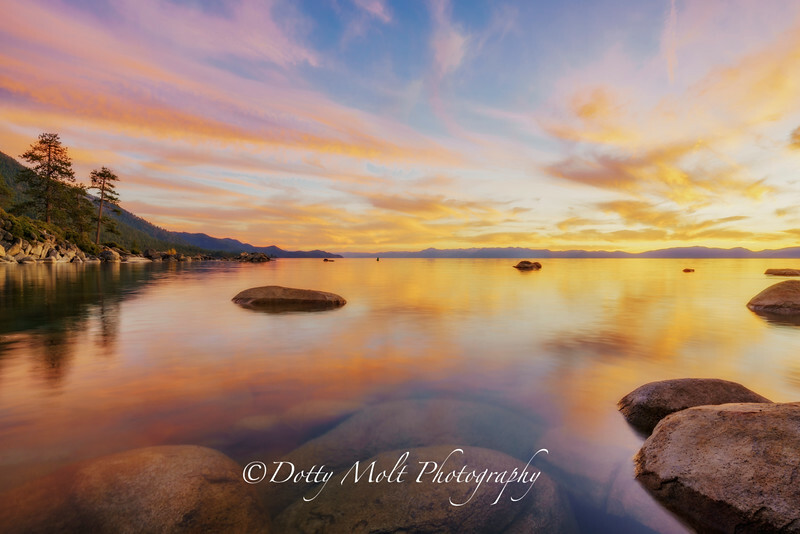 Lake Tahoe is magnificently beautiful, especially at dawn and dusk when the clouds reflect a full spectrum of colors across the shimmering water. I've been blessed to live near Lake Tahoe since 2006, which is right about when I really got serious about photography. I was originally inspired to photograph the Lake by a photo taken by Elizabeth Carmel of Bonsai Rock. I've now got my own parking place right by the trail that meanders steeply down to the shoreline.